We provide publishers and other associations with a complete outsourcing service for customer relationship management. Our service includes all functions related to customer and subscriber services in different channels. 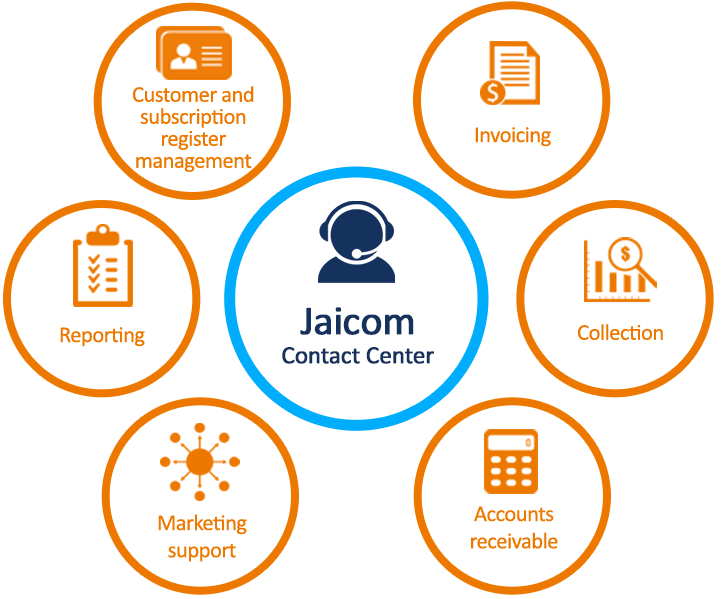 With Jaicom’s service, you will achieve major cost savings and improved customer service. Our service includes comprehensive real-time reports. Browser-based user interfaces provide the opportunity to monitor both the development of circulation and the various stages of invoice processing, regardless of place or time. Detailed data, including response times, is available on all service channels – phone calls, emails and chats. With the customer’s authorization, we withdraw reference payments from the bank daily. We also handle the matching of payments without reference numbers and sort out possible error lists on behalf of the customer.